Wherever fall takes you, get cozy and comfy with the latest wearable fashion out of South Granville. Make your mark this season with fall’s favourite textures, colours and patterns which can all be found in our neighbourhood, home to some of the best Vancouver boutiques. To give you fresh fall style inspiration when you’re shopping in Vancouver, here is South Granville’s latest lookbook of wear-now fashion suggestions from our merchants. The style trends setting the new normal for this autumn range from prints to plaids, classic to bold colours, vintage to athleisure, and deconstructed to layering. Anything goes, and anyone can pull them off. And, these are all transitional pieces and outfits that will take you effortlessly from fall to winter! 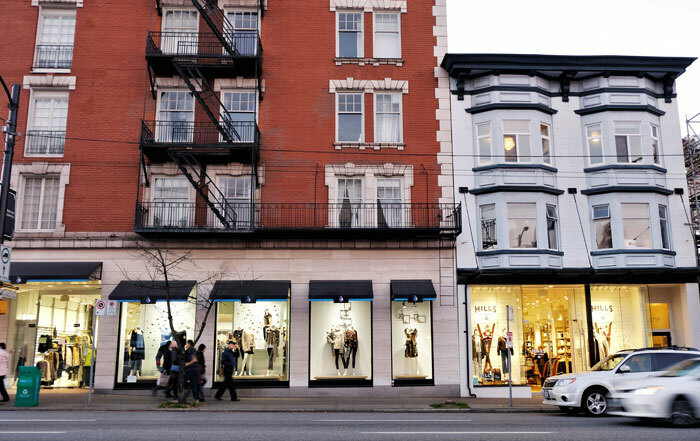 Shop the look and the latest style at the any of these boutiques in South Granville, with a full list of shops in the fashion directory. Suede + sweaters = a timeless combo all through the season. Come in and browse our favourite fall arrivals! Nili Lotan’s (faux) fur jacket has us so excited for the season it’s not even funny!! Marni FW18. Caramel Jacket with “fur”print silk duchess Dress and print sneaker with Tan leather detail on a lightweight platform. Bohemian blooms. #MaxMara reimagines traditional florals in a sophisticated burgundy and mustard palette for #FW18. Introducing our Fall Collection. Bold color, bold combinations. Check out our Insta stories for an exclusive offer. This weekend only. Quite complementary 👠 @ysl heels and @prada bag available at our South Granville location 📍Open 12:00p-6pm today.